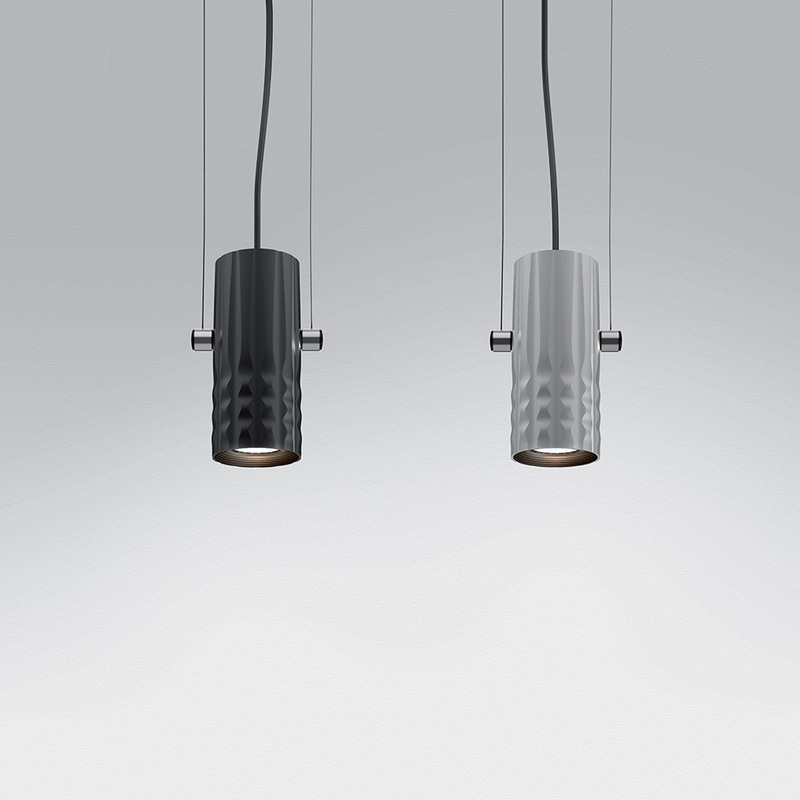 Fiamma is a systemic lighting element designed to respond to the needs of the contract sector, yet well suited also for everyday living environments. 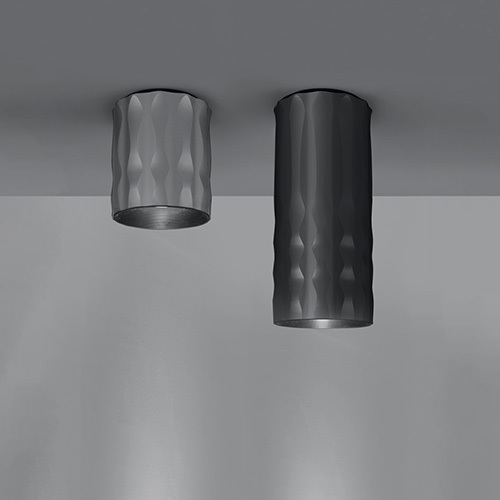 An anodized aluminum cylinder with a specific texture – a perfect combination of look and functionality – is the true luminous engine of the system. 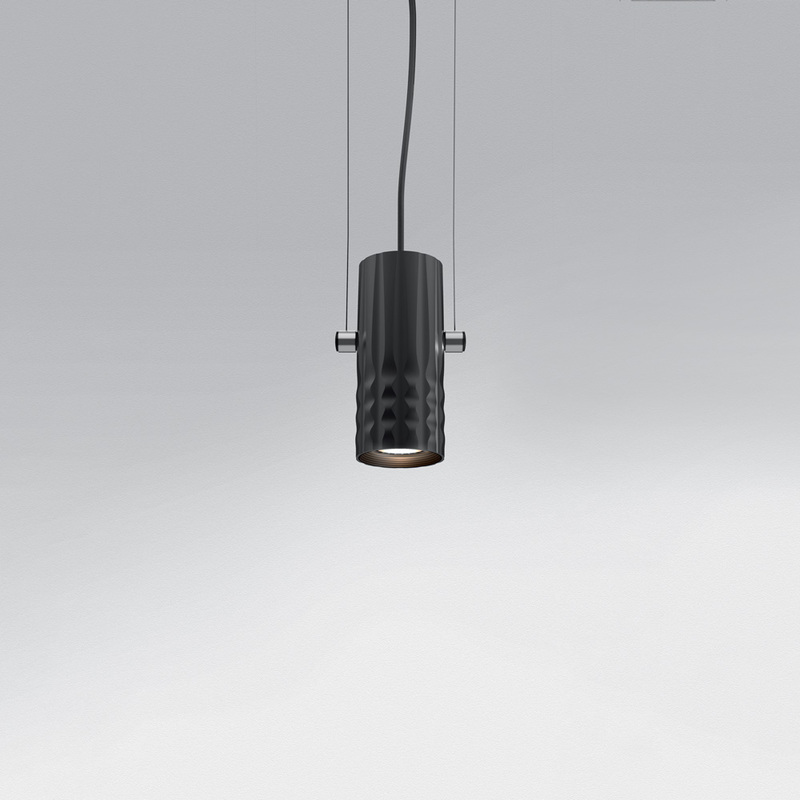 The light emitted by the LED source is cleverly controlled by a transparent diffuser, designed with an anti-reflex texture, to ensure visual comfort in all usage conditions. 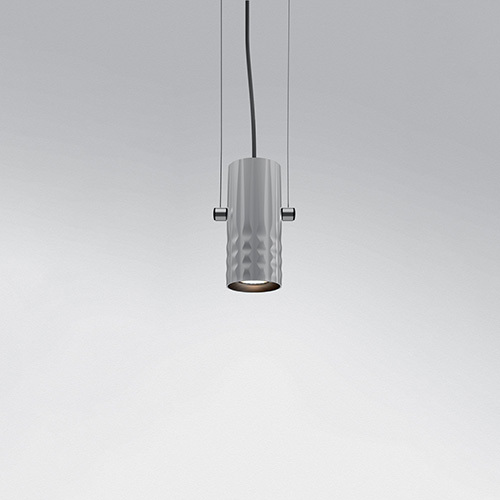 Different supports can be assembled on it, all made of carefully processed aluminum, to obtain a variety of versions – suspension, ceiling, reading, table. 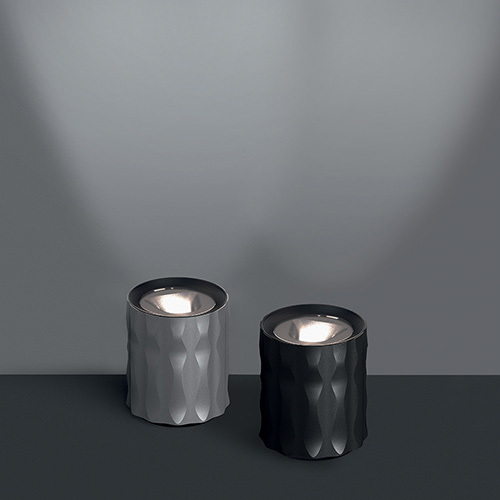 -Body in extruded aluminum, mechanically molded to achieve a textured effect evoking the shape of a flame.